The Sisters of the Immaculate Heart of Mary invite you to share in their mission of praying for the conversion of sinners. 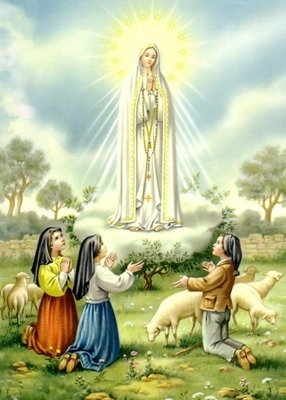 As you know this mission is dear to the Immaculate Heart of Mary; when she revealed her Immaculate Heart to the three children at Fatima, she exhorted them to pray for the conversion of sinners, saying that so many of them have no one to pray for them. Additionally, we are asking her to help us in the building of our Novitiate/House of Formation. Please join the IHM Sisters in praying Mother Teresa’s “quick novena” for these intentions. The novena consists of nine Memorares in petition and one in thanksgiving and can be said throughout the day or all ten at once. We are hoping to shower Our Lady with millions of Memorares; you can help us by pledging a thousand Memorares for this intention. We will be presenting these Memorares to Our Lady of Fatima at her newly built Shrine on our new property each year on May 13th and October 13th - the anniversary of her first and last apparition at Fatima in 1917.